Above is what might be thought of as an installation piece that was set up near the Freedom Monument in Riga. 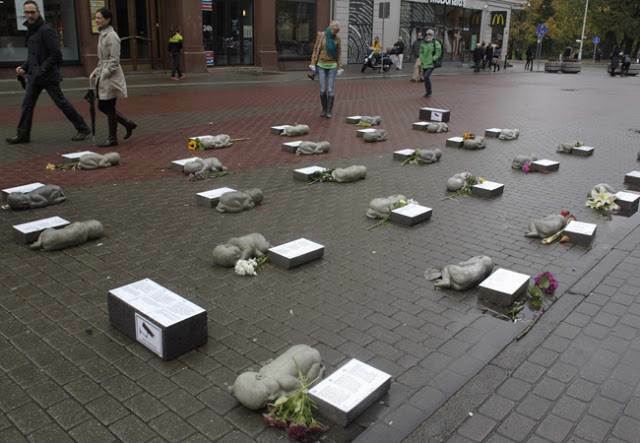 It consists of 27 sculptures represent the 27 unborn babies killed every day in Latvia. These babies are "white like death". They are each accompanied with a short message in English, Latvian and Russian, explaining why they were aborted.